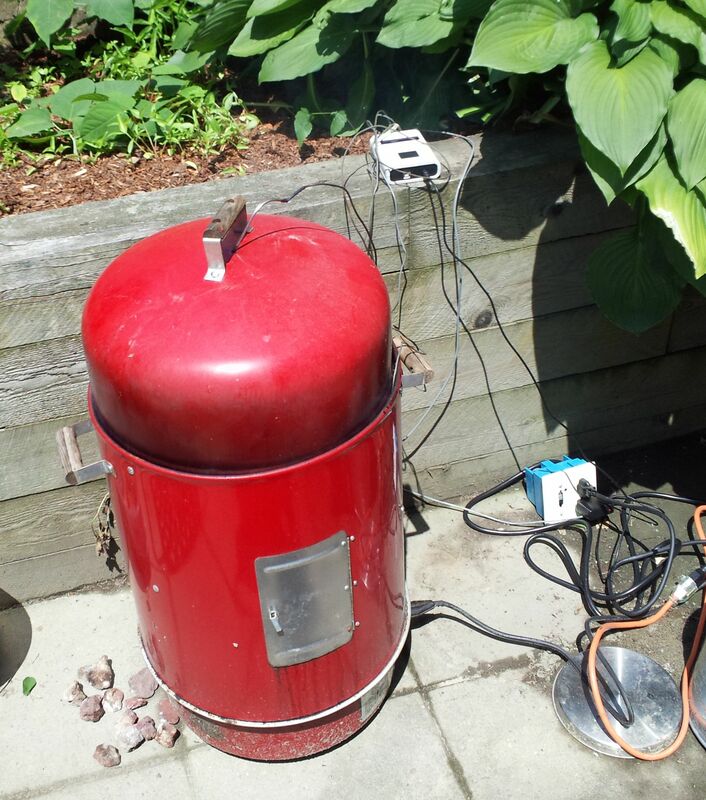 The smoker and temperature controller. A few years back I put together an electronic BBQ temperature controller that regulated the air temperature in my smoker and displayed the air + meat temperatures on a computer in my kitchen, while also posting the temperatures to Twitter. More recently I have decided that setting up my old desktop computer on my kitchen counter is a poor use of space, so I set about making a more compact temperature monitor.